Fr Ian is one of the leading experts on the life and works of John Henry Newman. Publications: Newman, Councils and Vatican II in Newman and Faith (2004); Mere Catholicism (2006); and G. K. Chesterton: A Biography (2011). 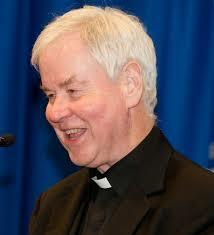 He was also co-editor of The Cambridge Companion to Newman (2009), contributing the chapter ‘The Church as Communion’.